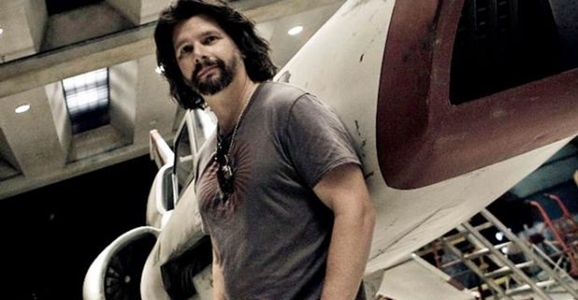 Ronald D. Moore is the geek icon that gave us the Battlestar Galactica reboot series in the mid-2000s. It was a hit for Syfy (then still the Sci-Fi Channel) and is considered one of the best science fiction TV series of all-time. Since Battlestar Galactica’s series finale in 2009, Moore fell on some hard times trying to create a new TV series as compelling and interesting as BSG. After a few bumps in the road, Moore is returning to Syfy with the science fiction thriller series Helix, which has the potential to have comparable staying power to Battlestar Galactica. Production on Helix just began recently. The series follows a group of CDC scientists stationed at a secret laboratory in a remote area of the Arctic. There were sent to investigate a possible global outbreak, but they soon discover something mysterious and terrifying just beneath the icy surface. The series has been compared to John Carpenter’s The Thing, in terms of atmosphere and mystery. It’s been three long years since Ronald D. Moore has had a show on the airwaves, after the cancellation of Syfy’s Battlestar Galactica prequel, Caprica, in 2010. Thankfully, he’s about to take a page from Farscape‘s Rockne O’Bannon, who this year premiered both The CW’s Cult and Syfy’s Defiance. Moore has two new TV series set to hit in coming months: Helix, which looks to be channeling John Carpenter’s The Thing, will premiere on Syfy, while the time-traveling historical drama called Outlander, based on the novels by Diana Gabalson, is headed for the premium cable network Starz. [The laboratory isn’t] owned or controlled by any one particular nation. It’s sort of a group of people who cobbled money together through mysterious sources and have been up there for quite some time doing medical research. Something happens at the base and a virus breaks out. They go under quarantine and they call the Centers for Disease Control in Atlanta to send a team to help them contain it. When [the team gets] there, they discover there’s a lot more going on than anticipated and they start realizing the research that has been going on has enormous potential to help humanity or to destroy humanity. Each episode is just one day at the base so the tension keeps ramping up and ramping up until we get to the end of the season. While Ronald D. Moore is a geek icon due to the success of his reboot of Battlestar Galactica in the mid-2000s, he hasn’t seen much success since BSG wrapped up in 2009. With the cancellation of the BSG prequel Caprica in 2010, Moore is still looking to recapture his earlier sci-fi success. Hopefully he’s found a winner with the new series Helix for the Syfy Channel, which blends science fiction and horror against an icy Arctic backdrop. Either way, the series has found a leading man. 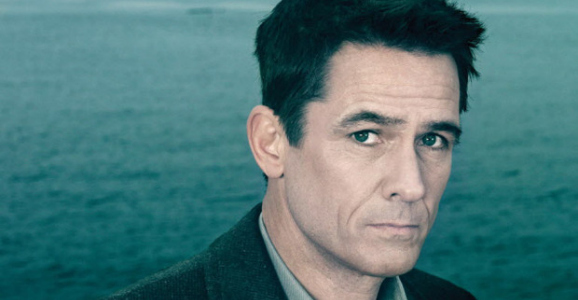 According to TV Guide, Helix recently cast Billy Campbell as the show’s lead, Dr. Alan Farragut, “an emotionally troubled Centers for Disease Control pathologist whose marriage has recently fallen apart after his wife had an affair with his brother.” Campbell famously played the jet-propelled, Nazi-fighting 1940s superhero The Rocketeer in 1991. He was also a regular on USA’s supernatural series The 4400, and recently played a Seattle politician in AMC’s The Kiling. Campbell may be exactly what Helix needs to become a success, a handsome, charismatic leading man. Beyond his Virtuality pilot/movie that went nowhere, there hasn’t been a lot of Ron D. Moore for sci-fi fans to be interested in of late. Sure, there’s that Outlander adaptation going to Starz, but that’s a mixed bag of genres. What about something that hits closer to home? Well, if you happen to live in an Arctic research facility, you were probably taken by the above teaser trailer for Moore’s upcoming Syfy series, Helix. Without much of a color palate, the teaser sets the proper tone for a series like this, one that will probably be minimal in set direction but expansive in atmosphere. The tagline itself is kind of corny, but its possible repercussions make Helix one of Syfy’s most realistically consequential shows. Ron Moore is one of those guys whose names are unfamiliar to those outside of science fiction fandom, and is also one of those guys who is loved by many and abhorred by some, without much room for middle ground. His work on the Star Trek series The Next Generation, Deep Space Nine, and Voyager, as well as the resurgence of Battlestar Galactica, have cemented him into sci-fi history, and now we’ll get a new show to judge him by. Moore’s latest project, the germophobe’s nightmare Helix, has finalized a deal with Syfy for a straight-to-series order of 13 episodes, and has also found a showrunner in Steven Maeda (Lost). Going straight-to-series saves the show’s initial fanbase from having to get excited about a pilot being filmed, only to have the network inevitably drop it. But going to Syfy also saves the fanbase from being relevant to the rest of the world. Helix, to be written by newcomer Cameron Porsandeh, centers on a team of scientists living in an Arctic research base where a possible disease outbreak has occurred, and the team must then investigate the problem and figure out a way to protect the rest of the world from certain doom. Somebody get these guys some Purell!